These digitally painted Batman villain mugshots are oddly mesmerizing. We just can't stop dreaming up a Gangster Squad batman. 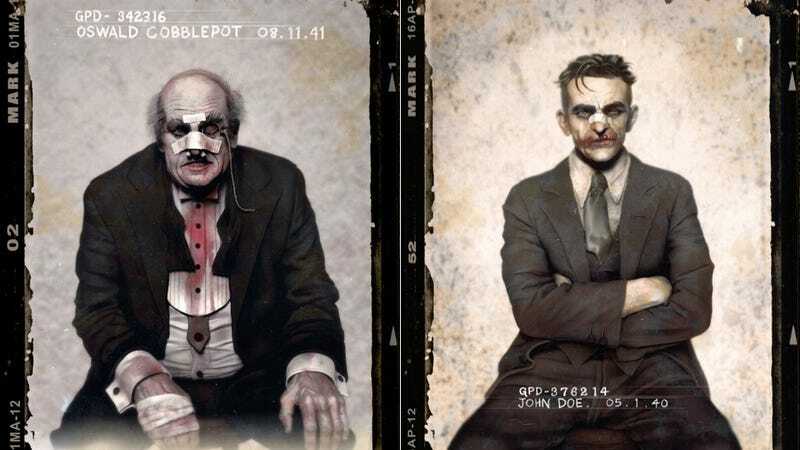 Inspired by the dapper men in the 1920s Australian mugshots, artist Jason Mark re-created these scenes with famous Batman villains. Between this and the Rockabilly Batman series, a very solid case is being made for a vintage Batman cartoon or (well done) webseries. Frankly, we'll take both. New scenes from Rockabilly Batman make us scream, WHY ISN&apos;T THIS A BOOK YET? Edit: Earlier we said these were 1920s mugshots but the dates on the images imply that they were "taken" in the 1940s. Sorry about the mix up.